After three years in Edinburgh, we’ve put together a guide to our favorite day trips from Edinburgh Scotland. There are so many things you can do and see on a day trip from Edinburgh, which include exploring castles, touring whisky distilleries, teeing off on a famous golf course, exploring historical attractions, birdwatching, hiking in national parks, and visiting filming locations for popular movies and TV shows like Outlander, Harry Potter, and Downton Abbey. We suggest ideas for 15 day trips from Edinburgh that cover a range of interests as well as a wide array of regions from the Scottish Borders to Glasgow to the Scottish Highlands. For each day trip from Edinburgh, we provide all the information you need about how to plan your day out, from how to get there to things you can do there. We provide information on traveling by car, bus, train, and as part of a guided day tour. We live just south of Edinburgh and have visited all these places so just shout if you have any questions or need further Edinburgh day trip ideas! Rosslyn Chapel, also known as the Collegiate Chapel of St Matthew, is a 15th century chapel located in the small village of Roslin. It was built for the Sinclair family as a Roman Catholic church, but after the Scottish Reformation it became part of the Scottish Episcopal church. It is still an active church that is privately owned by the Earl of Rosslyn. The small chapel with its intricate stonework alongside the ruins of Rosslyn Castle have attracted many famous visitors over the centuries including Samuel Johnson, James Boswell, Robert Burns, William Wordsworth, Queen Victoria, and Tom Hanks. The chapel is considered one of the architectural gems of Scotland. The stone that forms the chapel’s pillars and arches, including the exterior, contains intricate carving work portraying a number of religious and secular symbols and imagery. The most notable feature is the Apprentice’s Pillar, which is pillar that is covered in intricate carvings and stonework, and was clearly made by a very talented stonemason. However, today, it is best known for its speculated connection to freemasonry and the Holy Grail as was made famous by Dan Brown’s bestselling novel The Da Vinci Code. In the book, members of the Knights Templar hide the “Holy Grail” in the chapel’s crypt. Since the book and subsequent film starring Tom Hanks, the number of visitors to the chapel have multiplied and a new visitor center was built for the chapel. There is a fee to visit the chapel. Talks and tours are given regularly by staff each day which are free to take part in. There is also a small cafe and gift shop area. Photography is not allowed inside the chapel. If the weather is nice, we recommend taking the walking path over to see the ruins of Roslin Castle (part of this is a private residence though so stay beyond their parking area), and then doing a hike on one of the trails in Roslin Glen Country Park. 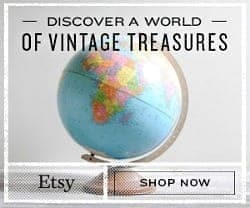 If you are looking for other things to do in this general area (we live in this part of Scotland), some suggestions are Newhailes House & Gardens in Musselburgh, Craigmillar Castle on the outskirts of Edinburgh, Butterfly World in Lasswade, National Mining Museum in Newtongrange, or hiking in the Pentland Hills. Or you can also head further south to explore part of the Scottish Borders region which we cover later in the article. It is easy to get to Rosslyn Chapel by car, bus, or day tour. Rosslyn Chapel is located about a 10 mile (16 km) drive south of Edinburgh, and it takes about 30 to 40 minutes to drive there. There is free parking located at Rosslyn Chapel for visitors. There are regular buses from Edinburgh to Roslin but there is no train station in Roslin. The journey by bus takes about 50 minutes. From the nearest bus stop (Rosslyn Inn), it is about a 3 minute walk to the chapel. Most of the other attractions mentioned in the area can also be easily reached by bus. The National Mining Museum in Newtongrange can also be reached directly by train from Edinburgh. There are several day tours from Edinburgh that visit Rosslyn Chapel and most tours also visit other attractions as well. 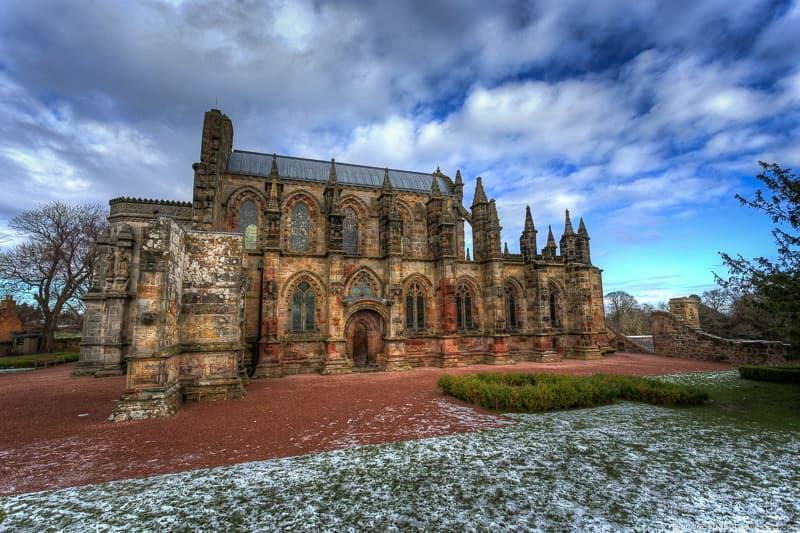 This day tour visits Rosslyn Chapel and also visits some attractions in the Scottish Borders, including Melrose Abbey. Glasgow is the largest city in Scotland and well worth a visit as it offers a refreshing contrast to the more tourist-oriented Edinburgh. The city is known for its friendly residents who can be a bit hard to understand with their famous Glaswegian accents. The city sits alongside the River Clyde and is only about 45 miles west of Edinburgh. 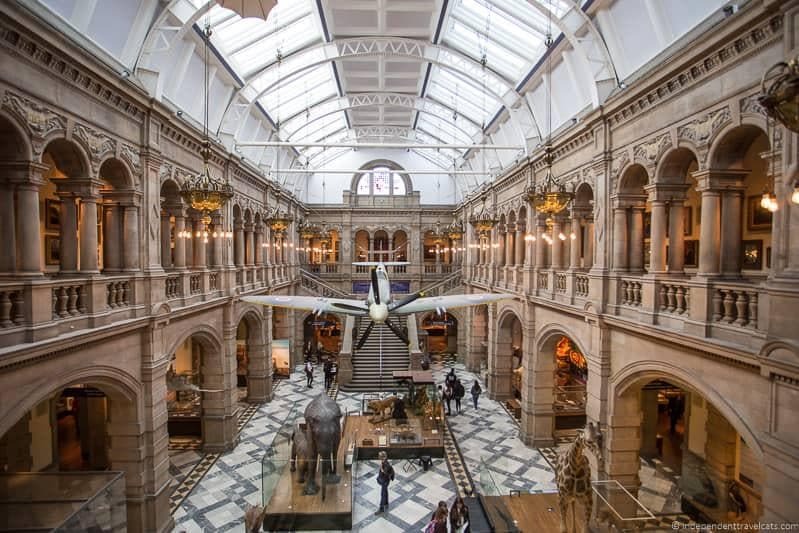 The city is home to lots of free museums and attractions, a thriving live music scene, beautiful parks, amazing street art, and the best shopping in Scotland. For architecture lovers, there are a large number of buildings in the city designed by Charles Rennie Mackintosh. There are also breweries and distilleries you can visit and tour within the city. If you are thinking of taking a day trip to Glasgow from Edinburgh, check out our guide to things to do in Glasgow and our Glasgow street art guide. There’s a lot to do and see in Glasgow, so I’d plan ahead so you can make the most of your day trip. Some of the city’s attractions and tours need to be booked in advance. There is plenty to keep you busy for a day in central Glasgow, but some attractions outside of central Glasgow, depending on your interests, include Pollock House, House of an Art Lover, and the National Museum of Rural Life. The easiest ways to get to Glasgow from Edinburgh are by car, bus, or train. 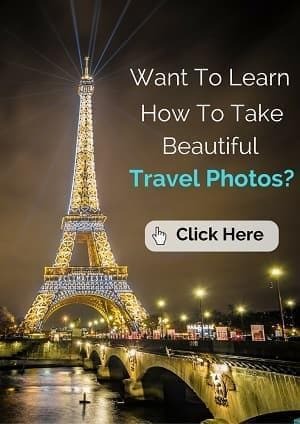 You can also get there via plane, taxi, or day tour. For drivers, Glasgow is about 50 miles west from Edinburgh and the drive normally takes about 1 hour and 10 minutes from the city center. However, it really depends on traffic. We recommend avoiding the morning and afternoon rush hour traffic to save on driving time. There are two main routes, taking the M8 or taking the M9 and M80. Both roughly take about the same amount of time, but check traffic before setting out as this is often the busiest section of road in Scotland as the routes link the country’s two largest cities. Train connections are regular between Edinburgh and Glasgow. Trainline and ScotRail are good websites to check for schedules and train tickets. Bus connections are regular between the two cities. You can check National Express for coach connections and prices between the two cities. You can also book a CityLink shuttle bus which provides direct service between Edinburgh and central Glasgow. Glasgow is probably best visited by train or bus from Edinburgh as there are a number of regular connections. But here is one tour that visits Glasgow as well as the Kelpies in Falkirk and Loch Lomond & the Trossachs National Park. Or you might consider this custom private trip to Glasgow with chauffeur. Fife is both a historical area, often referred to as the Kingdom of Fife, and a council region of Scotland. There are a number of places worth visiting in the area, with the most notable being St. Andrews, Dunfermline, and the fishing villages. Just north of Fife is the city of Dundee which is also well worth a visit. Dunfermline is known for its long history of royal connections and its large number of well-preserved historical buildings. The most notable is Dunfermline Abbey which was originally built in the 12th century during the reign of David I. The abbey is most notable for its architecture and for being the burial place for 18 members of Scottish royalty. Dunfermline is also the home town of the famous philanthropist Andrew Carnegie and you can learn more about him at the Andrew Carnegie Birthplace Museum. St Andrews is located on the northeast coast of Fife. It is well known for the University of St Andrews, one of the oldest universities in the world, the ruins of St. Andrew’s Castle and the Cathedral of St Andrew, and for being the birthplace of modern golf. It is also the town where Prince William went to university and met Kate Middleton. St. Andrews offers a number of museums and attractions, the oldest golf course in the world (Old Course), and a number of shops and well-rated restaurants. Plenty to keep you busy for a full day. There are also a number of golf courses in and around St. Andrews, so if you want to play a round, be sure to book a tee time in advance. About 7 miles outside of St. Andrews is also the Secret Bunker, a Cold War nuclear command center and secret bunker that has been opened to the public. Note that it is closed for part of the winter months. The small historic fishing villages along the Fife coast are a nice places to stop over for a seafood meal and a stroll along the harbor. Many also offer other attractions as well, such as the Scottish Fisheries Museum in Anstruther. A few villages to consider are Crail, Anstruther, Elie, and Pittenweem. Dundee is a coastal city on the Firth of Tay and is best known as a UNESCO city of design and for its museums and maritime attractions which include the RRS Discovery, Captain Scott’s Antarctic expedition ship, and the HMS Frigate Unicorn, a 19th-century Georgian wooden warship. The city’s newest attraction is the V&A Dundee, Scotland’s first ever design museum, which opened in September 2018. The museum is free to visit although there is an extra charge for some temporary exhibitions. Try to avoid leaving or returning to Edinburgh during rush hours as the traffic in and out of Edinburgh and across the bridges at Queensferry is often slow during these times. But we do recommend making a quick stop to take in the view of the three bridges crossing the Firth of Forth. The Forth Rail Bridge is an UNESCO designated Victoria era rail bridge that is architecturally significant for being the longest single cantilever bridge span when it was completed in 1890. The easiest way to get to St. Andrews from Edinburgh is by car, bus, day tour, or private transfer. Dunfermline and Dundee can be easily reached by train, bus, car, or day tour. Buses are options to almost all the mentioned locations, but if you want to visit multiple towns in this area in one day, we’d recommend either driving or booking a day tour. For drivers, Dunfermline is about an 18 mile drive north of Edinburgh and it usually takes about 30 to 40 minutes, St. Andrews is about 50 miles and takes about 1.5 hours, and Dundee is about 60 miles away and takes about 1.5 to 2 hours. Parking is limited in St. Andrews city center but there are free and paid parking areas as you enter the city. We normally park in the large parking area next to the British Museum of Golf. This parking area is free during the low season but there is a parking charge during busier times of year. It is located just across from the Old Course. Buses operate from Edinburgh to most of the mentioned cities and towns. A bus to Dunfermline takes about 40 minutes. A bus from Edinburgh to St. Andrews takes about 1.5 to 2 hours. A bus from Edinburgh to Dundee takes about 1.5 hours. You can check National Express for coach connections and prices. Dundee can easily be reached by train from Edinburgh and the train takes between 1 hour and 1.5 hours. Dunfermline can also be reached by train in 30 to 45 minutes. You can check ScotRail and Trainline for schedules and train tickets. There is currently no operating train station in St. Andrews and the nearest station is located in Leuchars, about 5 miles away. If you want to travel by train from Edinburgh, you’ll need to take a train to Leuchars and then take a bus or taxi to St. Andrews. For more complicated itineraries, you might want to use Traveline to figure out the best way to get from place to place. *Note: There are tentative plans to reopen the train station in St. Andrews and provide a direct rail link between Edinburgh and St. Andrews and strengthen rail links throughout Fife. So worth checking if you’re wanting to travel by train. 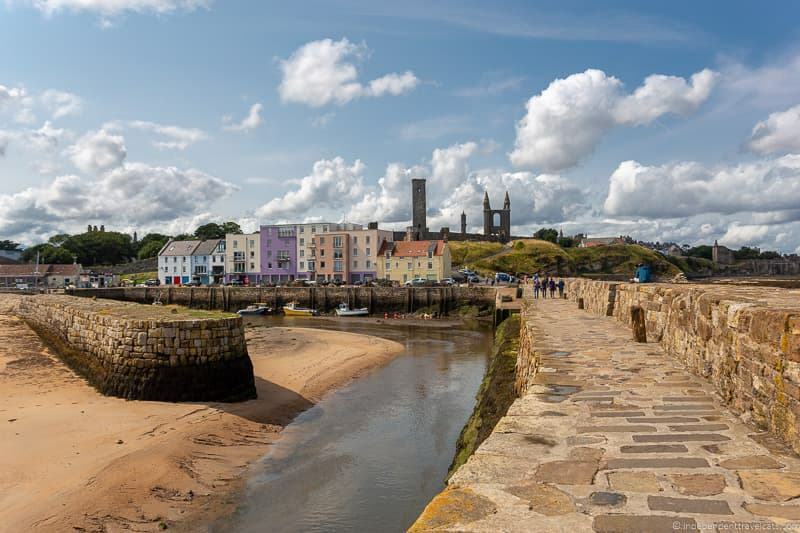 There are several day tours that head up to Fife, most focusing on a visit to historic St. Andrews. This day tour stops at St. Andrews, the historic town of Falkland, and at a couple of the Fife fishing villages. If you are also wanting to see Dunfermline Abbey and the V&A Museum in Dundee, this full day tour includes St. Andrews, Dundee, and Dunfermline. Outlander is romantic fantasy drama TV series set in Scotland that was adapted from the best-selling books by American author Diana Gabaldon. The storyline is set in both the 1940’s and the 18th century as Claire Randall is transported back in time to the 1743. In the 18th century she meets a Highland warrior named Jamie Fraser and the series mainly centers on their love and relationship amongst tumultuous circumstances. To be honest, we are not huge fans of the show but we have visited most of the filming location for Outlander and most are places worth visiting whether you are a fan of the show or not. If you are a fan, we’d recommend considering joining an Outlander themed tour to enjoy a day out with other fans. The show is primarily shot at the filming studio near Glasgow, but a number of scenes for Outlander have been shot in filming locations throughout Scotland. Here are some of the better known and more interesting ones that are within a 2 hour drive of Edinburgh. You can choose a handful of these to visit to make a full day trip of it. 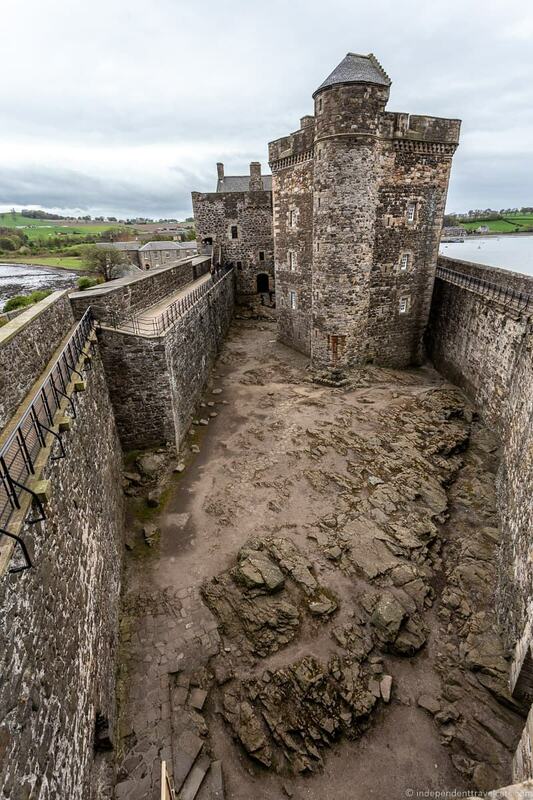 Blackness Castle – A 15th sea-edge fortress that is shaped like a ship, located about 20 miles (45 minute drive) from Edinburgh. In Outlander, it was used as Fort William and is where Jamie received lashings from Captain Randall and where Jamie rescues Claire from Black Jack. Culross – Culross is a picturesque village with a number of historic buildings that are under the care of the National Trust for Scotland. Many scenes for Outlander were filmed here as it was used as Cranesmuir in the show and you’ll also find Claire’s herb garden here. It is located about 25 miles away (45 to 55 minute drive) from Edinburgh. Doune Castle – Doune Castle was built around 1400 and was used as the fictional Castle Leoch in Outlander. However, it is better known for being the primary setting for the majority of the scenes in the film Monty Python and the Holy Grail. It is located about 45 miles from Edinburgh (1 hour to 1.5 hour drive). Falkland – A small historic village located in Perthshire, about a 40 mile (50 to 60 minute drive) from Edinburgh. Its most notable landmark is Falkland Palace which is run by the National Trust and open to the public. Falkland was used as 1940’s Inverness in the show. Hopetoun House – Hopetoun House is a gorgeous 17th century mansion home which featured as the stately home of the Duke of Sandringham in Outlander. Located about 14 miles from central Edinburgh (30 minute drive). Open seasonally to the public. Midhope Castle – Midhope Castle is a tower house (used as Lallybroch in the TV show) that is also on a private section of the Hopetoun Estate and is sometimes accessible to visitors. The building is derelict so you can only see the exterior. Parking pass needed to visit. Open seasonally. Linlithgow Palace – A partially ruined medieval royal residence and the birthplace of King James V and Mary Queen of Scots. It featured as Wentworth Prison in Outlander. It is located about 18 miles drive from Edinburgh (35 to 50 minutes). Newhailes House – A 17th-century Palladian villa located about 6 miles (20 minutes drive) from Edinburgh. Scenes were shot here for Outlander of Jamie discussing land grants with Governor Tryon in North Carolina. The house is open seasonally for guided visits and run by the National Trust. Note that almost all the attractions mentioned charge a fee for entry, and many close during the winter months. Many are covered by the Scottish Heritage Pass (valid for travel between April to October) and/or the Historic Scotland Explorer Pass. The easiest way is going to be by car or day tour. Although you can get to many of the sites by public transportation it would be difficult to visit more than 2 or 3 locations in one day. All of the attractions can be visited by car and all are within a 2 hour drive of Edinburgh, and there are several within a 1 hour drive. Many of the Outlander filming sites can be visited by bus or train from Edinburgh, including Linlithgow Palace, Falkirk, Blackness Castle, and Newhailes House. I’d check Traveline for the best method and route depending on the filming sites of most interest to you. There are several tours from Edinburgh that go to several Outlander sites in one day, most visiting the same filming locations. We’ve done this 1 day tour with Rabbies that includes stops at several Outlander filming locations including Culross, Blackness Castle, Doune Castle, and Linlithgow Palace. If you’re a super fan, you may consider a longer Outlander tour such as this 4 day tour that visits just about all the major Outlander sites in Scotland! Loch Lomond & the Trossachs National Park was designated as Scotland’s first national park in 2002. The large national park includes mountains, forest, lochs (lakes), small villages, and farmland. Loch Lomond is the largest inland body of water by surface area in the UK. The park is a popular place for hiking, camping, biking, and water sports. 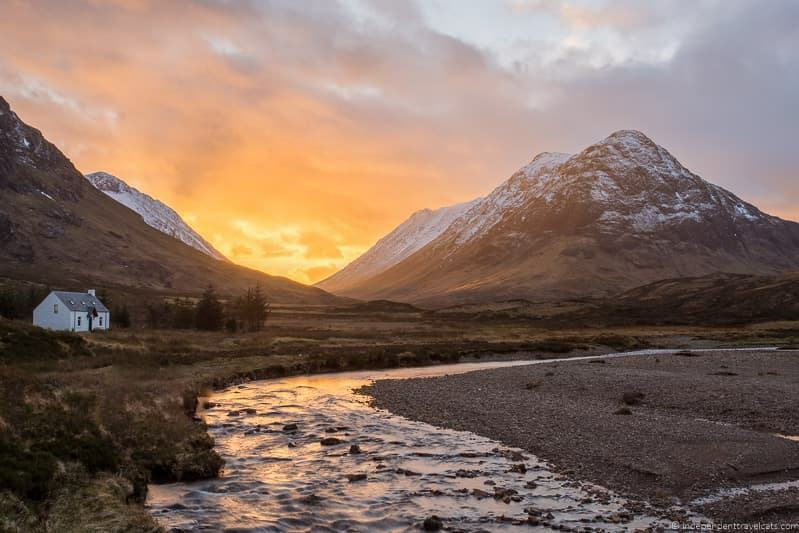 It’s particularly well known for hiking and is crossed by two of Scotland’s most popular long distance paths, the West Highland Way and The Three Lochs Way. There are also historic villages, scenic viewpoints, adventure parks, and boat cruises. This is also the land of Scottish outlaw and folk hero Rob Roy MacGregor. If you are thinking about visiting, check out our travel guide to the top things to do in Loch Lomond to help plan your time here. A great place for a day trip or an overnight trip. The easiest way to get from Edinburgh to Loch Lomond is by car or day tour, but you can also get there by bus or train. If traveling by public transit, you’ll want to plan carefully to make the most of your time. Loch Lomond National Park covers a large area, but it is about 80 miles away from Edinburgh. It takes between 1.5 to 2 hours to reach the village of Luss alongside Loch Lomond from Edinburgh. You can travel by bus or a combination of bus and train to several villages within Loch Lomond & the Trossachs National Park. These include Luss, Balloch, Tarbet, Callander, and Killin. But almost all routes include stops and changes. Travel times vary from 1.5 to 3 hours, depending on the village. If traveling by train, a few villages in and around Loch Lomond & the Trossachs are on a train line, such as Balloch and Tarbet. If you get off at Balloch, you can walk to several attractions (Balloch boat pier for loch cruises, aquarium, Birds of Prey centre, Balloch Castle Country Park ). Check ScotRail and Trainline for schedules and train tickets. For planning journeys by bus or multi-stop journeys, you can use Traveline to figure out the best route. If you get to Balloch by bus or train, you can join a bus tour there such as this one of the park to explore further afield. There are several day tours from Edinburgh that include visits to Loch Lomond, such as this one that visits Stirling Castle, the Kelpies, and Loch Lomond, this one that visits Loch Lomond and 2 whisky distilleries, and this one that visits Loch Lomond as well as three castles. If you are wanting to do a cruise of Loch Lomond on a day tour, this one visits Stirling Castle and Loch Lomond and includes the option for a 1 hour boat cruise. 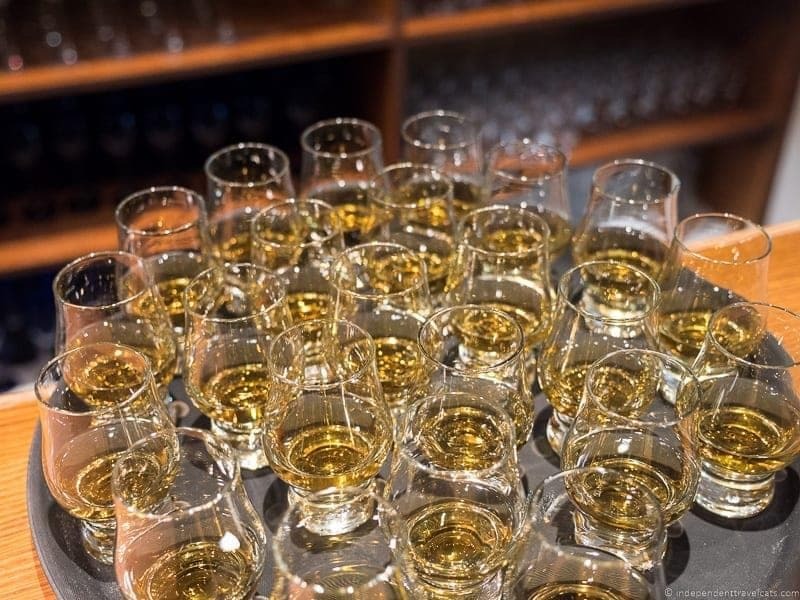 Whisky is the drink most associated with Scotland and many visitors want a chance to learn more about it, see how it is made, and taste a few drams. There are lots of places in Edinburgh where you can try Scottish whisky but there are no distilleries currently open to the public in the city. But luckily there are several within a 1 to 2 hour drive of the capital. There are a number of whisky distilleries within driving distance of Edinburgh that you could visit on a day trip. I’d try to choose one or two based on a particular brand, type (single malt or blended), or taste (e.g., peaty or fruity) of whisky you personally enjoy. 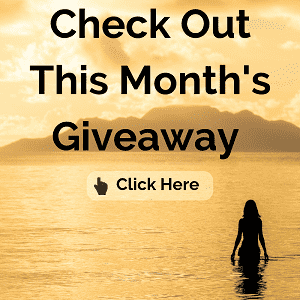 If you are new to Scotch whisky, I’d recommend doing a tour and tasting at the Scotch Whisky Experience or a local history and tasting tour first in Edinburgh, and then that should help you better know about what kind of whisky you enjoy. Many whisky distillery tours are fairly similar so we’d advise that one or 2 are plenty for most people. You can easily combine a couple into one day. Also if you are traveling with someone who doesn’t enjoy whisky, try to combine the distillery visit with another attraction of interest. For instance we’ve done this whisky tasting tour from Edinburgh that stopped at both Glengoyne Distillery and Deanston Distillery. I actually opted to visit Doune Castle (located nearby) instead of the Deanston Distillery as the tour gives you flexibility to do as much or as little as you want at the distilleries themselves. Glenkinchie Distillery – This single malt Lowlands distillery is just a 19 mile (31 km) drive from Edinburgh (30 to 40 minute drive) in the town of Tranent. Offers tours and tastings. Glengoyne Distillery – A popular whisky distillery located in Dumgoyne, about 55 miles (88 km) from Edinburgh (1.5 hour drive). It has been in continuous operation since its founding in 1833 and makes its unpeaty single malt whisky using slow and traditional methods. Tours and tastings available. Deanston Distillery – Deanston Distillery is a popular whisky distillery in Doune situated alongside the River Teith. It is located about 45 miles (72 km) from Edinburgh (1 hour to 1 hour 30 minute drive). It produces single malt whisky and offers tours and tastings. Glenturret Distillery – This distillery is located in Crief about 55 miles (88 km) from Edinburgh (1 hour 20 minute to 1 hour 50 minute drive). The Glenturret Distillery produces single malt whiskies but the tour also covers the history and making of Scotland’s most iconic whisky brands The Famous Grouse. Offers tours and tastings. Pre-booking is recommended. Aberfeldy Distillery – The Dewar’s Aberfeldy Distillery is located outside Aberfeldy, about 74 miles (119 km) from Edinburgh (1 hour 45 minutes to 2 hours drive). It produces single malt whisky and offers tours and tastings. There are also a few newer distilleries, like Clydeside Distillery in Glasgow, within driving distance but they are relatively new and don’t have their own whiskies yet (should have a 5 year by 2022). Although they do tours of their distilleries and include tastings of other whiskies from around Scotland. So still worth visiting if you don’t mind that they are not producing their own spirits yet. Most whisky distilleries offer several tours throughout the day and can be booked on arrival, but some do require advanced booking, especially in the low season, so be sure to check ahead. Also special tours and experiences (e.g., masterclasses, food and whisky tours) often need to be booked in advance. Whiskey distillery visits are great for rainy days as the majority of most tours take place indoors and you can get warmed up with a dram. Most of the larger distilleries offer a cafe or restaurant where you can get hot food and drinks. As they say in Scotland, today’s rain is tomorrow’s whisky! It is easy to combine a visit to a distillery to a visit to another attraction in Scotland such as Loch Lomond National Park, Stirling Castle, Falkirk, Glasgow, Doune Castle, or Rosslyn Chapel. Many day tours from Edinburgh and Glasgow include a whisky distillery stop as part of the itinerary. The easiest ways to visit a whisky distillery from Edinburgh is by car or day tour, but it is also possible by public transportation. You can also book private transfers such as this one. All of the whisky distilleries can be reached by car and most have free dedicated parking lots. They range from 30 minutes to 2 hour drives from Edinburgh. If you are thinking of driving yourself, note the Scottish drinking and driving laws are very strict, so almost all distilleries offer to-go sample cups for drivers and bikers. If you don’t want to drive, I’d recommend booking a driver or guided tour. In most cases, it is likely going to be easier and more time efficient to join a day tour from Edinburgh to visit distilleries than to do it via public transit. Several tours from Edinburgh include stops at a whisky distillery. This whisky tour includes stops at two single malt whisky distilleries and a visit to Loch Lomond. This day tour include a stop at a distillery as well as stops in small villages, scenic viewpoints, and Highland lochs. Cairngorms National Park was the second national park established in Scotland and is currently the largest national park in the British Isles. It is most notable for its mountain range, the Cairngorms. It is a popular area for a number of outdoor recreation activities including hiking, boating, climbing, fishing, camping, skiing, and birdwatching. It is a popular area for families with lots of activities such as the Landmark Forrest Park (amusement park), Highland Wildlife Park (animal park), and Aviemore Zip Trek Park (ziplining park). The Strathspey Railway, which offers steam train rides, is also a popular attraction for people of all ages. There are a number of castles and historical attractions located within the park that can be visited by the public, including Blair Castle, Braemar Castle, Ruthven Barracks, and Balmoral Castle (Queen’s private residence). There are also museums such as the Highland Folk Museum (large open-air museum) and Grantown Museum. The park is also home to several whisky distilleries that can be visited including Dalwhinnie, Glenlivet, Tomintoul, and Speyside. The best known of which is probably Dalwhinnie Distillery. It is one of the best wildlife and birding areas in Scotland, home to a number of species including red squirrels, capercaillie, osprey, deer, badgers, and the Scottish wildcat. You can take a guided wildlife tour here with Speyside Wildlife and/or visit the Osprey Centre. If you are thinking of visiting in winter, we have a guide to visiting the Cairngorms in winter for tips and things to do. The park is the most popular area for winter sports in Scotland and is home to three of Scotland’s five ski resorts. Scotland is the only place in the British Isles with ski resorts and you can read our guide to skiing in Scotland for more information. The best way to get from Edinburgh to the Cairngorms National park is by car, but you can also get here via bus or train. Some towns, such as Aviemore, are well-connected by bus and train from Edinburgh, whereas others, such as Braemar, are not. It depends where you are driving, but it takes about 1.5 hours to reach the southern part of the park (e.g., Blair Atholl). It is about 130 miles (209 km) from Edinburgh to Aviemore (largest town in park) and the drive takes about 2.5 to 3 hours. There are bus connections from Edinburgh to several villages and towns within the Cairngorms National Park, including Aviemore, Blair Atholl, and Newtonmore. However, the best connections are primarily to those town and villages in the southern and western areas of the national park. Train connections are possible to some villages and towns including Aviemore, Dalwhinnie, Blair Atholl, and Newtonmore. Trains can take 2 to 4 hours depending on destination and route. You can check the bus services and routes online via National Express and Stagecoach (local operator for most services within Cairngorms). Check ScotRail and Trainline for train routes and tickets. If you are planning to travel around the Cairngorms by public transit, I’d check out this brochure (just note it was last updated in 2015) for an idea of the bus, train, and national cycle routes within the park itself. We don’t know of any day tours from Edinburgh that only focus on Cairngorms but some do drive through or make a stop or two. If you want to do a day tour to explore the Cairngorms National Park while in Scotland, we’d recommend taking the train to Inverness or Aberdeen and then booking a day trip from there. Both cities are closer and will allow you to better explore this area. 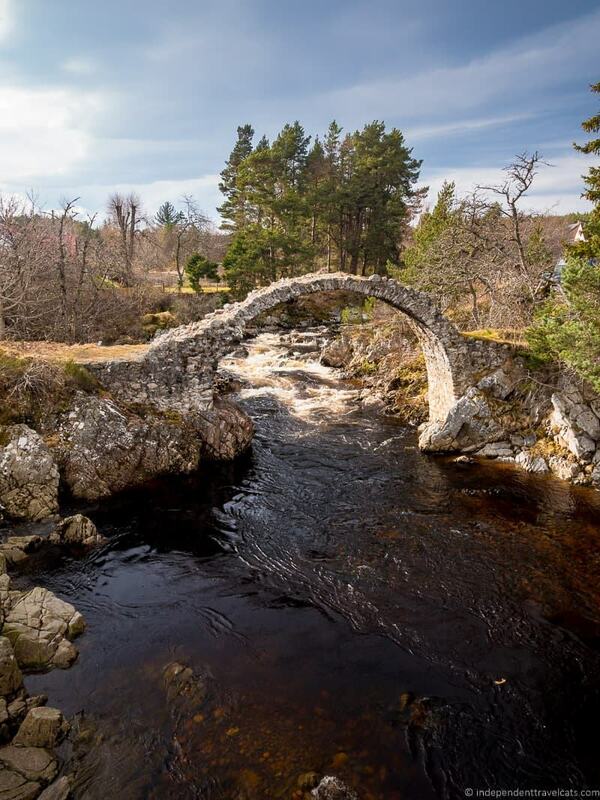 This day tour from Inverness and this day tour from Aberdeen both explore parts of the Cairngorms National Park. Loch Ness is a large deep freshwater lake in the Scottish Highlands and is the second deepest loch in Scotland. It is best known for the numerous sightings of the Loch Ness Monster, known as “Nessie”. The first such reported sighting of the mysterious sea monster was in 1933. 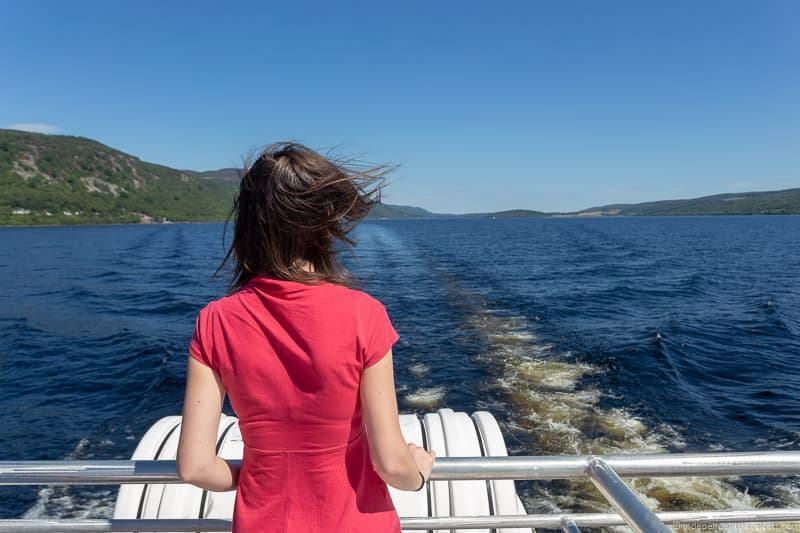 There are several things to do in and around the loch, and the most popular is to take a cruise on the loch, which range from about 30 minutes to 3 hours. A visit to the picturesque ruined Urquhart Castle can be done as part of a cruise or on its own. A few other places of interest are the village of Drumnadrochit, the Loch Ness Centre & Exhibition, scenic Glen Affric, and a visit to the town of Fort Augustus which is a good place to get a look at the Caledonian Canal. There are also a number of hikes and outdoor activities in this area, and there is even a little beach area near the Dores Inn. The easiest ways to get from Edinburgh to Loch Ness are by day tour or car, but you can also reach Loch Ness by bus or a combination of train and bus. Although Loch Ness can be done as a day trip from Edinburgh and is a popular place to visit, it is a long way to go for a day trip. So we recommend either doing it as an overnight trip or booking a day tour to avoid having to do so much driving in one day. In winter, the limited amount of daylight hours, means you’ll likely be driving back in the dark. It is about a 175 mile (281 km) drive to Drumnadrochit from Edinburgh, which can take between 3.5 to 4.5 hours depending on traffic. You can get to most places in the Loch Ness area within 4 to 5 hours. Given the long drive, we’d recommend doing this as an overnight trip from Edinburgh or as a day tour so you don’t have to worry about 7 to 8 hours or more of driving. By public transportation you can reach Drumnadrochit, Clansman Harbour (one of the places cruises depart), Urquhart Castle, and Fort Augustus. This is possible by bus or via a combination of bus and train. Travel time is 4.5 to 5.5 hours each way, many requiring stops and changes, making this not an ideal way to travel for a day trip. Different bus services operate here and most journeys require multiple stops so you can use Traveline to plan the best route. Many journeys require you to stop first in Inverness. Check ScotRail and Trainline for train routes and tickets. If planning to visit as a day trip, we’d strongly recommending booking a day tour instead. Or consider staying overnight in Inverness or surrounds, there are lots of great places to stay in the area. There are several companies offering day tours from Edinburgh to Loch Ness, including Rabbies Loch Ness tour that also visits scenic Glencoe. A day tour from Edinburgh to Loch Ness is a long day with lots of time in a bus, and ideally we’d recommend taking the train to Inverness and doing a tour to Loch Ness from Inverness as it will allow you to see more at a slower pace. Stirling is a city north of Edinburgh that was once a very powerful town in Scotland. Stirling Castle, alongside Edinburgh Castle, was one of the largest and most important castles in Scotland and it dominates the city’s skyline. It was the medieval home for Scottish royalty and it saw many battles and sieges. 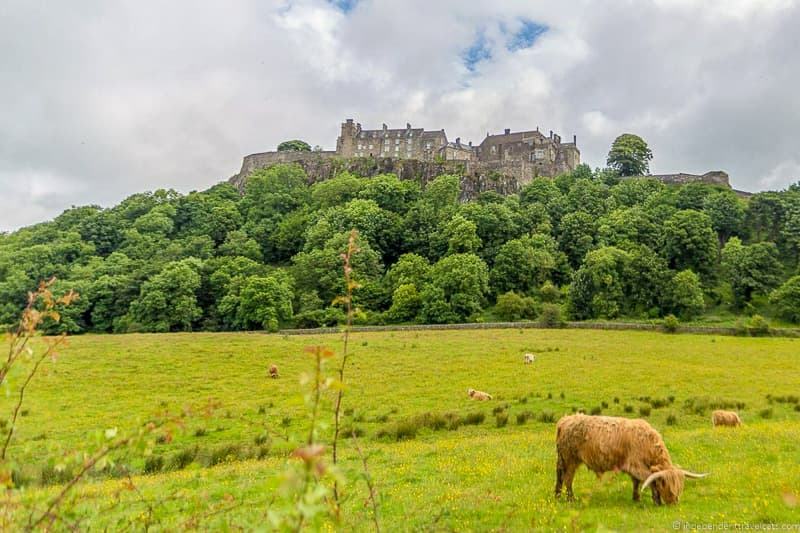 Today, Stirling Castle is the most popular visitor attraction in Stirling, and a tour here allows you to learn about its long history, the people who lived here, and see its principal rooms. You may also want to visit the Church of the Holy Rude, a nearby church that was used by royalty staying at Stirling Castle in the medieval period. Other things to see in or near Stirling is the battle site of the Battle of Bannockburn, which was a famous battle fought between the Scottish and English in 1314 where Robert the Bruce’s army beat the army of King Edward II in what is often referred to as the First War of Scottish Independence. You can learn more at the Battle of Bannockburn 3D Experience. Nearby is the National Wallace Monument, a large memorial completed in 1869 to commemorate William Wallace, a Scottish knight and hero, who fought alongside Robert the Bruce. He is the man who was famously portrayed by Mel Gibson in the 1995 film Braveheart. Wallace’s sword is also on display here. You can see the monument from a distance for free (it is 220 feet high! ), but there is a fee to visit. On the way to Stirling, you’ll pass by the town of Falkirk, where you’ll find a number of additional attractions. The Kelpies are 98 feet tall steel horse head sculptures and they are the largest equine sculptures in the world. You can get a glimpse of them from the highway but we recommend stopping to visit them (free to visit, but small fee if you want to climb inside one of them). Other attractions worth visiting nearby include the Falkirk Wheel (an interesting boat lift connecting 2 canals, can take a short ride) and Callendar House (grand 19th century mansion with medieval core). For history buffs, the remains of a section of the Antonine Wall (a smaller northern version of Hadrian’s Wall) runs through the grounds of Callendar House. Yet, another attraction that could be visited as part of a day trip to Stirling is Linlithgow Palace, a partially ruined medieval royal residence and the birthplace of King James V and Mary Queen of Scots. A great piece of history although we had a very confusing time trying to navigate it due to its ruined layout! On a nice day, you may want to walk the path around Linlithgow Loch located below the palace. It is easy to get from Edinburgh to Stirling by train, car, bus, or day tour. It is also possible to reach Falkirk by car, train, bus, or day tour. Stirling is about a 36 mile (58 km) drive from Edinburgh, and the drive takes about 1 hour to 1 hour 20 minutes. Falkirk is about a 45 minute drive away from Edinburgh. The M9 goes past both cities. You can reach Stirling bus or train, and the journey takes about 1 hour. The train between Edinburgh and Falkirk takes about 30 minutes. From here, you would need to take a local bus (check First Bus) to get closer to most of the city’s visitor attractions. You can check the bus services and routes online via National Express. Check ScotRail and Trainline for train routes and tickets. You can visit some of these sites, most notably Stirling Castle and the Kelpies, via a day tour. This day tour includes a visit to Stirling Castle, Loch Lomond & the Trossachs National Park, and the Kelpies. The Scottish Borders is the southern region of Scotland that borders England. It is a hilly, bucolic, and largely rural area that was once occupied by the Romans and saw the coming and going of many Scottish and English armies over the centuries. It is the area of Scotland just south of where we live! We enjoy exploring the Scottish Borders as it is relatively unknown to most tourists and there is a lot of scenery and historical sites in the area. You’ll find historic market towns, Roman sites, ruined grand abbeys, brochs, castles, nature areas, and a network of hiking paths. Scenic towns that are easy to explore on foot include Jedburgh, Kelso, Melrose, and Peebles. The area is known for its four great ruined medieval abbeys (ruined during the reign of King Henry VIII) at Kelso, Jedburgh, Melrose, and Dryburgh. The most famous of which is probably Melrose Abbey which was the first Cistercian abbey in Scotland. There are also a number of castles, museums, and historical attractions. Castles that are open to the public in the area include Floors Castle, Hermitage Castle, and Thirlestane Castle. Museums include the Mary Queen of Scots Visitor Center in Jedburgh, Jedburgh Castle Jail and Museum, and the Coldstream Museum. Many sites in the Scottish Borders have a relationship with writer Sir Walter Scott who spent much of his childhood living in the area with his aunt and would later make this his home as an adult. For example, you can find a plaque and bust in Kelso (where he went to school and spent many summers with his aunt and uncle), visit the courthouse museum in Selkirk where Scott served as sheriff for almost 30 years, tour his grand house Abbotsford, and see his burial place in Dryburgh Abbey. If you’d like to hike in the area, you can check out local walking routes here. If you like history you might consider walking a section of the 65 mile Borders Abbeys Way which connects the four abbeys and other attractions as well. The Sir Walter Scott Way also runs through the region. The Scottish Borders is a large area, so it really depends on what your interests are but it is definitely a region worth exploring if you are looking for a lesser known and less busy destination in Scotland. You can read about the first two day trips we took ourselves to this area to come up with a list of things to do in the Scottish Borders. You can also combine a visit to the Scottish Borders with a stop at Rosslyn Chapel or a visit across the border to Hadrian’s Wall in Northumberland. Both are covered in detail in other sections of this article. It is easy to visit the area by car, bus, or day tour. You can also reach the area by train. You can easily reach the Scottish Borders by car. It takes about 1 hour to 1.5 hour to reach towns in the Scottish Borders. For instance Peebles is 23 miles (37 km), Melrose is 37 miles (59 km), Selkirk is 39 miles (62 km), and Jedburgh is 48 miles (77 km) from Edinburgh. You can reach most of the towns by bus from Edinburgh which include Melrose, Selkirk, Galashiels, Kelso, and Peebles. Travel times vary widely but most towns can be reached in 1 hour to 2 hours. You can check bus services and routes online via Borders Buses. In many cases you can save time by taking the train and then getting a bus from Galashiels or Tweedbank. You can reach Galashiels and Tweedbank by train from Edinburgh on the Border Railway. You can book tickets via ScotRail or Trainline. From these stations, you can connect by bus to reach most of the other towns in the Scottish Borders or book a taxi. Galashiels is the largest town in the Scottish Borders and here you’ll find the best transport links and the most services. There are a number of day tours that can give you a taste of the Scottish Borders. This Rabbies tour includes a visit to Rosslyn Chapel and Melrose Abbey, this one visits the Scottish Borders with a stop in Jedburgh and Hadrian’s Wall, and this day tour visits Alnwick Castle with a stop in Kelso. The Scottish Seabird Centre is a charity-run discovery center in North Berwick that runs birdwatching boat trips and also participates in a number of local conservation efforts. The Firth of Forth is an important breeding area and is believed to be used by almost half of all of Europe’s seabirds! 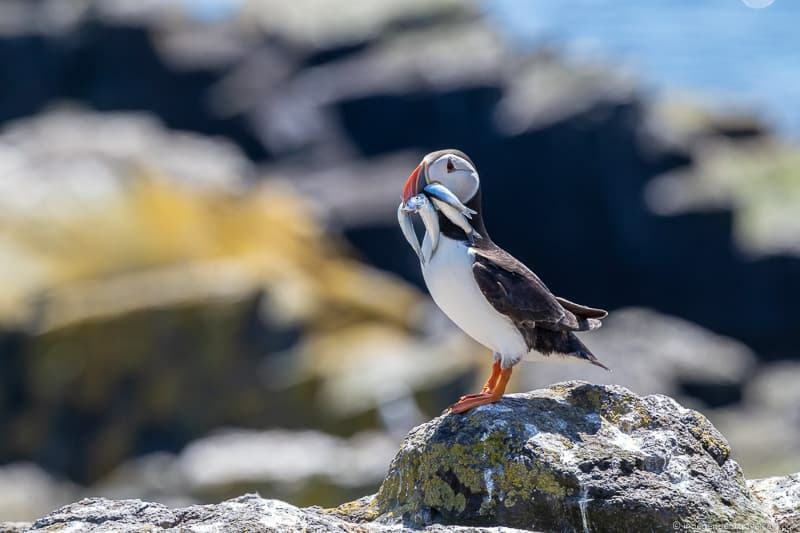 Species that breed here each year include razorbills, Atlantic puffins, Atlantic gannets, Arctic terns, kittiwakes, shags, cormorants, and numerous duck species. Most notably, the world’s largest colony of northern gannets (over 150,000!) nest each year on Bass Rock. The Discovery Centre is an interactive information and museum center, designed to be family-friendly. From here, you can learn about all the local species and even watch the birds on live cams that are set up on the island and local cliffs. There is also a cafe and gift center here. The boat tours run from about April to November, and leave from the Scottish Seabird Centre. The boat tours go to or around one or more of the small rocks or islands where the birds nest each Spring and Summer. These include Bass Rock, Lamb, Craigleith, and the Isle of May. Some of the special tours include landings on either Bass Rock or the Isle of May. If you love birds, especially sea birds, and are visiting in the Spring or Summer, we’d definitely recommend considering a visit here. In addition to birds, you also have the chance to see dolphins, seals, and whales in these waters. There is also a view of the ruined Tantallon Castle. We’ve visited twice and done two boat tours so far, one RIB boat tour that circled the three islands and one regular boat tour that landed on the Isle of May. Both tours were educational and fun, and we got to see a lot of birds on both trips. You can read about our experiences and tips for visiting the Scottish Seabird Centre to help plan your own trip. It is best to pre-book the boat tours in advance. North Berwick is a nice town to wander around and has a number of casual eateries and pubs; we recommend trying the local seafood. Other attractions around North Berwick include Tantallon Castle, a ruined 14th century castle, and the National Museum of Flight. There are also dozens of golf courses along the coast between Edinburgh and North Berwick; just be sure to book a tee time in advance if you want to play. You can also combine a day trip out to North Berwick with a visit to other attractions such as Rosslyn Chapel in Roslin or Newhailes House & Gardens in Musselburgh. It is easy to reach North Berwick by car, train, or bus. It is about a 25 mile (40 km) drive from Edinburgh to North Berwick, which usually takes about 45 to 50 minutes. There is a pay-and-display car park located at the Scottish Seabird Centre or street parking in town. North Berwick is well connected to Edinburgh by public transit. You can travel by train from Edinburgh to North Berwick by train in about 30 to 40 minutes. You can book tickets via Trainline or ScotRail. Or you can take a bus (check schedule online with East Coast Buses) to North Berwick, which takes about 1 hour. We are not aware of any day tours that visit the Scottish Seabird Centre or stop in North Berwick, but it is easy to reach North Berwick by public transit. However, you could arrange a private transfer or private tour. Hadrian’s Wall was a defensive fortification built by the Romans in the northernmost part of the Roman province of Britannia, which is now northern England. It is believed construction on the wall started around 122 A.D. during the reign of Emperor Hadrian, and it was used by the Romans until they left Britain in the early 5th century. It is 73 miles long (80 Roman miles) and runs from Wallsend to the Solway Firth. Games of Thrones fans will likely know, or be interested to learn, that the Game of Thrones book series written by George RR Martin was inspired by Martin’s visit to Hadrian’s Wall in 1981. He notes that the Wall was the first thing he developed in the books, and you can read more about that in his 2014 interview with Rolling Stone. Hadrian’s Wall was designated as a UNESCO World Heritage Site in 1987 and has become a popular tourist attraction. Many people, especially UK residents, do a week-long walk from one end to the other during the summer months. But as a day trip, you can still see a section of the wall and visit one of the forts. 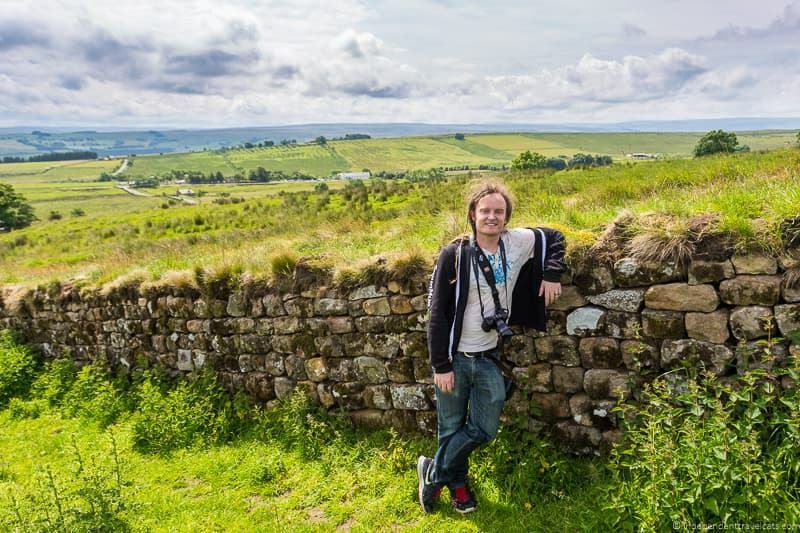 There are hundreds of Hadrian’s Wall and Roman related sites in the area, and if you are really interested in seeing specific things I’d recommend getting a recent guidebook on the wall to help you learn more and choose the best things to visit. But if you are just happy to see a few highlights, we’ll recommend some places that work well as a day trip from Edinburgh below. You can see stretches of it by car or bus along the Roman Dere Street and then one of the most popular places to get out and see the wall up close is at Steel Rigg. Nearby, Sycamore Gap (easy to spot from the Roman Dere Street) is a scenic spot that was featured in the film Robin Hood: Prince of Thieves. There is a parking area at Steel Rigg which provides a nice view of the wall and you can follow a path along a decently preserved section of the wall. Please don’t sit or walk on the wall as it is a protected monuments and both the wall and the surrounding ground is quite fragile. An alternative to Steel Rigg is Heddon-on-the-Wall which is another well-preserved stretch of the wall that you can see up close. This gets less visitors than Steel Rigg which is where most of the tour buses and cars stop. There is no dedicated parking here but there is street parking. Before or after you’ve seen a stretch of the wall, I’d recommend visiting one of the ruined forts and museums along the wall. There were originally at least 14 larger Roman forts built along the wall and you can still see the ruins of many of these today. We’d recommend planning a visit to either Housesteads or Vindolanda. Both have fort ruins and a museum with archaeological finds and information to help you learn more about the sites. If you want to do a long walk in the area, we’d recommend this 8 mile circular walk around a section of the wall which includes Steel Rigg, Sycamore Gap, Housesteads, and a lake. It takes about 3 hours at a normal pace and starts and ends at the Housesteads Visitor Center. This would make for a great day out for those who want to combine hiking with sightseeing. A day trip to Hadrian’s Wall could be combined with a short stop at Rosslyn Chapel or to a town in the Scottish Borders such as Melrose or Jedburgh. You might also want to stop at Carter Bar which is the border of Scotland and England for short photo stop. You can read more about our own day trip to Hadrian’s Wall from Edinburgh for more ideas. The easiest ways to reach Hadrian’s Wall are by car, booking a day tour, or booking a private transfer. Public transportation is very limited in this area. Hadrian’s Wall is about a 100 mile (160 km) drive south of Edinburgh. It takes about 2.5 to 3 hours to reach the mentioned sites along Hadrian’s Wall by car. The sites are then spread out alongside the wall, but we’d recommend trying to stick to ones within 30 to 60 minutes drive of each other. There is very limited public transportation in this area which is primarily rural and many of the recommended sites are outside of towns. If you want to visit without a car, we’d recommend booking a day tour from Edinburgh. There are several day tours from Edinburgh to Hadrian’s Wall, many of which make a stop or two in the Scottish Borders. This day tour (which we’ve done) stops in a Scottish Borders town, Carter Bar, Steel Rigg, and (usually) Vindolanda. If you’d like to combine a trip to Rosslyn Chapel and Hadrian’s Wall, you might consider this tour although it spends less time at Hadrian’s Wall. While much of the Harry Potter books were written in Edinburgh by J.K. Rowling, Edinburgh was never used as a filming location for any of the films. Although you can find several related sites to Harry Potter in Edinburgh. Hogwarts is of course set in Scotland and there are a number of Harry Potter filming locations in Scotland. You can put together your own list if you already know where you want to go. Just know that there is not too much to see at some of them. We’ve listed some below for you to consider, but just note most are a 3 hours or more drive time from Edinburgh if you head north so this makes for a very long day trip. The closest in terms of driving time is Alnwick Castle in Northumberland, England which is a 2 hour drive away. Glenfinnan Viaduct – The Glenfinnan Viaduct is a railway viaduct on the West Highland Line just outside the town of Glenfinnan. It opened for operation in 1901. In Harry Potter, it is the viaduct or bridge that the Hogwarts Express is seen going over in the films. The Jacobite Train – This is the steam train run by West Coast Railway used for shots of the Hogwarts Express. The train mainly runs between Fort William and Mallaig. For the full Harry Potter like experience we recommend booking the “First Class Compartment Carriage HP Style” seats. The train operates seasonally, normally April to October. Rannoch Moor – Rannoch Moor is a boggy moorland area near Loch Rannoch. This is where the Death Eaters board the Hogwarts Express in the Harry Potter and The Deathly Hallows: Part 1. Steall Falls in Glen Nevis – Steall Falls, Scotland’s second highest waterfall, and surrounding area were used in the background for scenes where Harry fights the dragon in the Triwizard Tournament during Harry Potter and the Goblet of Fire. You can find hiking information here. Alnwick Castle – Located in northern England, the castle exterior and courtyard were used as Hogwarts to shoot several scenes in the first two films, including where the students learn to fly on their broomsticks. The castle offers Harry Potter related activities like broomstick lessons. The castle has also been used as a filming location for Downton Abbey, Transformers: The Last Knight, Elizabeth, and other films. The castle is worth a visit in its own right and there is also an amazing garden located here! Glen Coe – Glen Coe is a scenic glen and also the site of a terrible massacre in 1692. In Harry Potter, the area was used in a few films and it is best known as the location for Hagrid’s Hut (although the hut was a film set not a real place). You can view our Glen Coe photography guide. It is not possible however to visit all of the mentioned filming locations in one day so you’ll need to figure out which ones you are most interested in seeing. You can fit several locations into a day if you head northwest. But Alnwick Castle, for instance, is in the opposite direction (in England) than all the rest. If you are looking for just one Harry Potter thing to do, I’d probably choose The Jacobite train ride (a fun experience and nice scenery), a visit to Alnwick Castle (iconic castle with broomstick lessons), or a visit to Glen Coe (dramatic landscape and good area for a walk/hike). For more ideas, see our Harry Potter Scotland guide for a full list of filming locations. It is easy to reach the Harry Potter filming sites by car or day tour from Edinburgh, and some can also be visited by bus and/or train. It takes 1.5 hours to 2 hours to reach Alnwick Castle by car, and the rest of the sites can be reached by driving 3 to 4 hours from Edinburgh. If you plan to head north towards Fort William and Glen Coe, we’d actually recommend doing this as an overnight trip if you can and perhaps stay overnight in Fort William. Or consider a day tour so you don’t have to do the driving yourself. Many of the filming locations can be reached by bus and/or train including Fort William (where the steam train departs), Alnwick Castle, Glenfinnan, Rannoch Moor, and Glencoe. Check Traveline for the best routes to each. 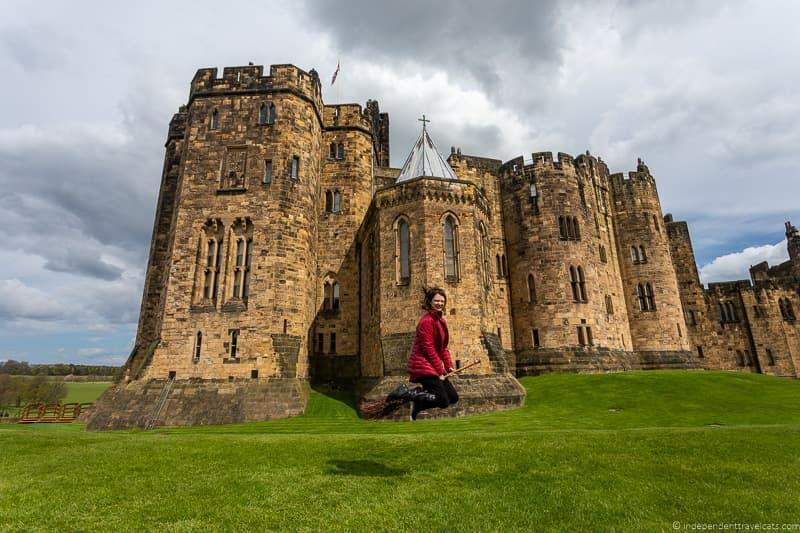 There are day tours that include many of the Harry Potter sites, just note that most focus on Alnwick Castle since it is much closer than the others. For instance, this day tour visits Alnwick Castle, the Scottish Borders, and the Northumberland Coast. If you are wanting to take the Jacobite Steam Train, I’d check this day trip with train ride as it includes transport to and from Edinburgh, the steam train ride, and views of some Harry Potter filming locations in the Highlands. If Glen Coe is the top site on your list, you might consider this day tour that includes Glen Coe as well as Loch Ness. Glen Coe, or Glencoe, is a glen of volcanic origins in the Scottish Highlands that is well-known for being scenic and atmospheric. It is an area designated as a special scenic area and nature reserve. Most of the glen is owned and conserved by the National Trust of Scotland. It is also the site of a terrible massacre in 1692, known as the Massacre of Glencoe, where 38 people from the MacDonalds of Glencoe clan were murdered unarmed as they slept by those that had given them shelter. The government initiated massacre was led by a member of the Campbell clan and this has led to a MacDonald and Campbell feud that lasted for generations (in some cases may still exist). However, most people come to Glen Coe not for its history, but for its scenic beauty. It is a draw for many photographers and has been used as a filming location for a number of movies including Highlander, Rob Roy, Braveheart, and the Harry Potter films. You can view our Glencoe photography guide. It is a popular place for hiking, climbing, and mountaineering and there are a number of paths and routes within the area. Nearby Ben Nevis is the highest mountain in the British Isles. There is a visitor center and exhibition center (fee for non-members) run by the National Trust here which is a great place to stop for information and hiking routes. The National Trust staff sometimes led guided walks or safari tours. There is also the Glencoe Folk Museum which presents local history presented within thatched cottages. On the way to Glen Coe, you might to stop and explore a bit of the Loch Lomond & the Trossachs National park. The easiest way to get here is by car or day tour. It is possible to get to the village and many areas of Glen Coe by public transit as well. It is about 120 mile (193 km) drive from Edinburgh to Glencoe, and the drive takes about 3 hours. Can take longer depending on traffic. It is possible to travel to Glen Coe by public transit, either by bus or a combo of bus and train. 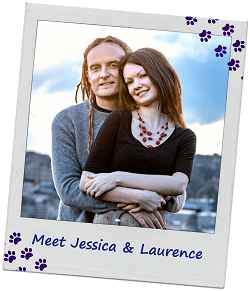 See Traveline to help you plan your journey. There are day trips from Edinburgh to Glen Coe, such as this one that visits both Loch Ness and Glencoe. Castles were built in Scotland from the 11th century to 20th century, and range from tower houses to large fortresses to fairytale palaces. Many are open to the public and are within day tripping distance of Edinburgh. Castles in Scotland range from almost forgotten about ruins to prime tourist attractions, and you can find them in just about any part of Scotland. I’d take a look at this castle list as it organizes castles by council area in Scotland so you can identify which ones are near where you’d like to go and are worth visiting. If there is a particular castle you really want to visit, I’d then explore the area around it to find other castles that are open to the public. It is easy to visit 3 to 4 castles in a day trip from Edinburgh if you plan ahead. Cragmillar Castle – A ruined castle with parts dating back to the 14th century that was used by Mary Queen of Scots. Only a 20 minute drive from Edinburgh. Blackness Castle – A 15th castle that is shaped like a ship located on the south shore of the Firth of Forth. Filming location for Outlander. 45 minute drive from Edinburgh. Thirlestane Castle – A privately owned 16th century castle located in the Scottish Borders that is home to the Maitland family. Located about a 45 minute drive from Edinburgh. Stirling Castle – A large medieval castle that served as one of the most important fortresses in Scotland for a long period and was used as a residence by Scottish royalty. Lots of resemblance to Edinburgh Castle. About a 1 hour to 1.5 hour drive from Edinburgh. Doune Castle – Castle dating back to about 1400 that became derelict but was significantly restored in the 20th century. Filming location for Monty Python and the Holy Grail and Outlander. Located 1 hour to 1.5 hour drive from Edinburgh. 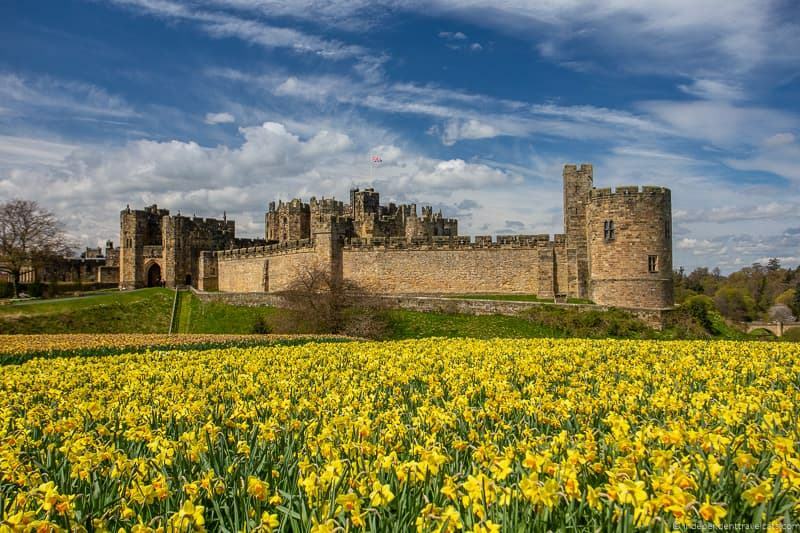 Alnwick Castle – A picturesque and mighty castle with sections dating back to the 11th century. Located in northern England, it is the seat of the Duke of Northumberland. Filming location for Harry Potter and Downton Abbey. Adjacent to the beautiful Alnwick Garden. Located a 1.5 to 2 hour drive from Edinburgh. 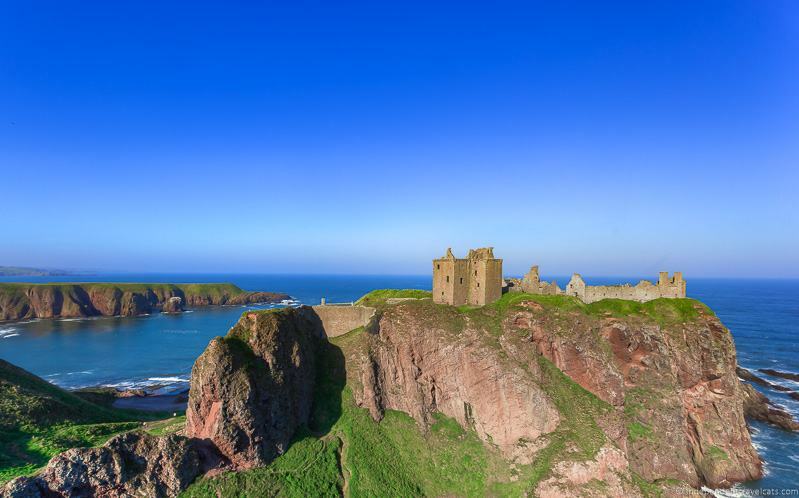 Dunnottar Castle – A dramatically situated ruined medieval fortress along the coast that has a rich history and was a significant place of defense during the Jacobite rebellions. Dunnottar Castle is about a 2 hour to 2.5 hour drive from Edinburgh. Balmoral Castle – Castle built for Queen Victoria and now the private home of Queen Elizabeth II. Beautiful grounds and gardens, but only the Castle’s Ballroom and stables are open to the public to tour. Only open to the public during certain times of the year. About a 2.5 hour drive from Edinburgh. Note that all the castles listed charge an admission fee for visitors. If you plan to visit several castles while in Scotland, you might check out the Scottish Heritage Pass (valid for travel between April to October) which gives you free entry to over 120 National Trust and Historic Scotland sites. There is also the Historic Scotland Explorer Pass which includes entry into over 70 Historic Scotland sites. These passes include entry into lots of castles including Edinburgh Castle, Blackness Castle, Craigmillar Castle, Stirling Castle, and Doune Castle. Most castles in Scotland have seasonal hours and some close throughout the winter months. So be sure to check head before planning a visit to be sure they’ll be open during your visit. We’ve visited loads of castles in Scotland, so if you are looking for a castle in a particular area to fit into a day trip or a castle of a particular type, feel free to ask us in the Comments section and we can give you our recommendations. Castles in Scotland can be reached by car or day tour, and many can also be reached by bus or train. The mentioned castles are all within a 20 minute to 2.5 hour drive of Edinburgh. Most of the mentioned castles can be reached by public transportation. Use Traveline to help you plan your route to specific castles. Just note that it may be hard to visit more than one or two castles on a day trip using public transit. Castles are a part of a lot of day tours from Edinburgh. This castle-focused day trip visits several castle as well as Highland lochs and scenery. You can also find day tours that include a particular castle along with other attractions including this one to Stirling Castle and this one to Alnwick Castle. Here are a few tips for planning a day trip from Edinburgh whether you plan to drive, take public transportation, or book a guided day tour. It rains a lot in Scotland and can be windy so be sure to take along raingear, warm layers, and practical shoes! Check the weather forecast before setting out. Don’t let bad weather stop you from exploring, just be prepared! When planning day trips from Edinburgh, we recommend sticking to places within a 2.5 hour drive or less from the city. Any further and you’ll spend half of your day simply driving and not getting to see as much. Also be sure to take daylight hours into account as you have more limited hours in winter. 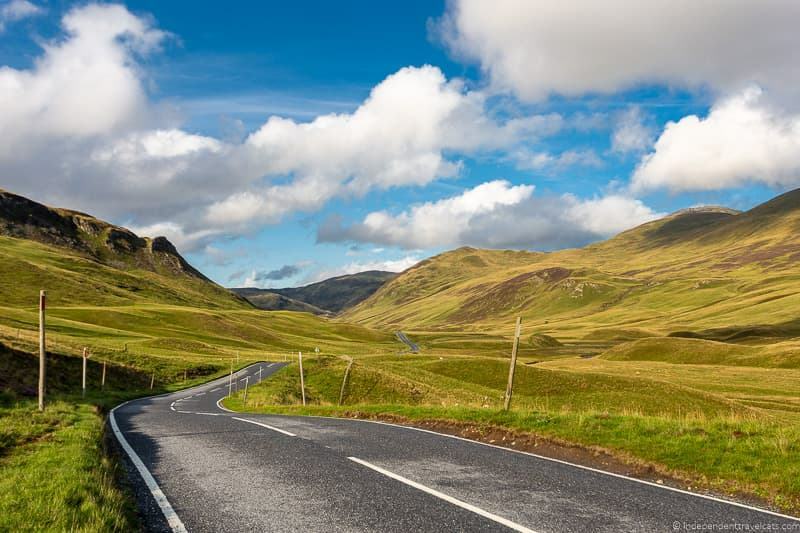 If you are thinking of going to places that are further away, such as the Isle of Skye or northern Scottish Highlands, we strongly recommend an overnight or multi-day trip. If you don’t want to make arrangements, many local tour companies such as Rabbies offer overnight tours from Edinburgh to more far flung places in both Scotland and England. If driving, try to avoid rush hour if leaving or returning to Edinburgh on a weekday. Morning rush hour is normally from about 7:30am to 9:30am (7:30 to 9:30) and afternoon rush hour is normally from 4:00pm to 6:00pm (16:00 to 18:00). You can check road conditions and traffic online at Traffic Scotland. New to driving in the UK? Check out our tips for driving in the UK and navigating single track roads. We recommend the Traveline website for helping to plan journeys in the UK via public transportation. The site is especially helpful if you are having trouble figuring out which bus to take or how to do a multi-leg journey. If planning to do day trips by public bus or coach, know that there are several bus stations in Edinburgh but the buses of most of the bus companies start and end their journeys at the Edinburgh Bus Station (also known as St. Andrews Bus Station) on Elder Street. For bus tickets, you can often purchase them online through sites like National Express or the local service website. But others you will need to purchase in person at the bus station or directly from the driver (cash usually needed). We currently have two train stations in central Edinburgh, the main one where most trains arrive and depart is Waverley Station. But there is also the Haymarket Station which handles a lot of commuter train traffic. Just be sure you know which station you need. If you plan to do a lot of travel by bus or train from Edinburgh, we recommend booking your accommodation within walking distance of the train or bus station to make your travels easier. If traveling by public bus or train and you want to visit more than one place in the same day, be sure to check the routes and schedules in advance to make the most of your day. Public transit is not that frequent in some areas. If you plan to use a taxi or private transfer to get from one place to another, we often use minicabit to compare cab fees. We do have Uber in Scotland (launched in 2015 after we moved here) but it is currently limited to pick-ups in and around Edinburgh, Glasgow, and Aberdeen only. If looking for day tour operators in Edinburgh, we can recommend Edinburgh-based Rabbies. You can also see a wider selection of tours from Edinburgh on GetYourGuide and Viator. If doing a day tour, tipping or leaving a small gratuity to your guide and/or driver is appreciated and common, although not necessary, if you enjoyed their services. If you plan to visit a number of historical and cultural sites while in Scotland, you might check out the Scottish Heritage Pass (valid for travel between April to October) which gives you free entry to over 120 National Trust and Historic Scotland sites. There is also the Historic Scotland Explorer Pass which includes entry into over 70 Historic Scotland sites including Edinburgh Castle, Urquhart Castle, Stirling Castle, Melrose Abbey, and St Andrews Castle. Be sure you allow enough time to see all the things you want to do in Edinburgh! We sometimes hear from visitors who did so many day trips, they didn’t get to see much of the city itself. Edinburgh is a cultural hub of Scotland and there is a lot to do here. If you’ve tired out all the top things to do in Edinburgh, you can also check out our list of less known things to do in Edinburgh! If you are looking for more Scotland day trip ideas, also check out our guides to day trips from Glasgow and day trips from Inverness. So that is our guide to the best day trips from Edinburgh! Hopefully it has helped you plan your own Edinburgh day trip. Have you done any day trips from Edinburgh? If so, feel free to tell us about your day trip experience and how you planned it. If you have a question about planning a day trip from Edinburgh or anything else about visiting Edinburgh, just leave us your question in the Comments section below! Hi! I was wondering if you had any recommendations for half-day or afternoon tours from Edinburgh? I arrive in Edinburgh on a Friday morning (around 9:30am) and have the day free before my friend arrives. Since I’ve been here twice already, I was hoping to see something new outside the city but am having trouble finding afternoon tours. Any recommendations for something nearby or even something unusual to do in Edinburgh? I’ve been to Rosslyn Chapel and St. Andrews and we’ll head up to the highlands when my friend arrives. Thanks! No, I am afraid I do not as most leave between 8 and 9, so I think if you are arriving around 9:30 or later, you will miss most day tour departures. You can of course book a private day tour but it would be very costly for one person. -Consider taking the bus or train to visit a nearby attraction or two such as Stirling Castle, an Outlander site, or other place of interest. We list info about public transit options for each day trip idea in the article. 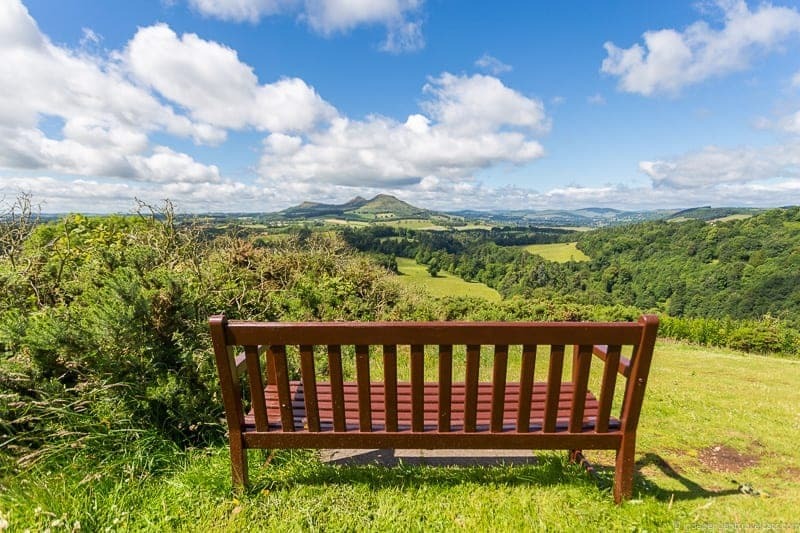 -If you enjoy hiking, you can spend the day walking or hiking around Edinburgh at places like Arthur’s Seat or along the Water of Leith or head by bus a bit further away like the scenic Pentland Hills. 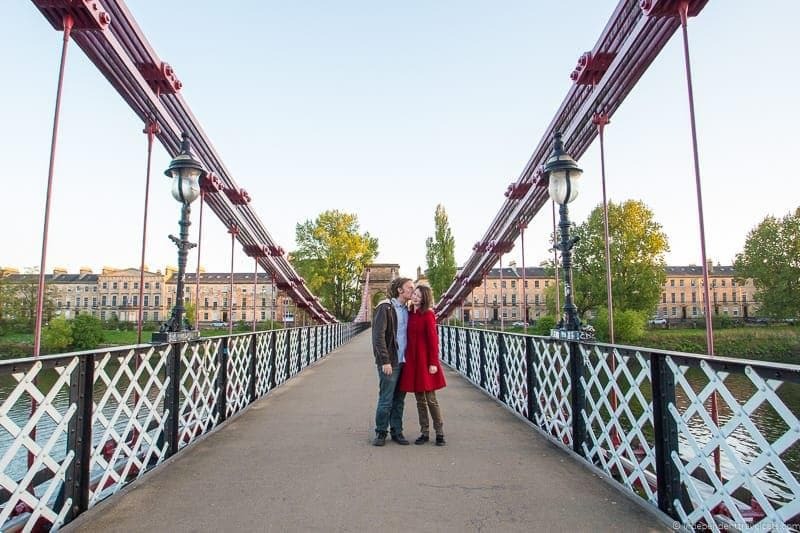 -Consider a day exploring Glasgow if you haven’t been before as it’s an easy bus or train ride away, see our Glasgow guide. -Consider doing a walking tour or two in Edinburgh such as this 3 Hour Food Walking Tour or this bike tour. Oh, I really can’t agree more on this list. Scotland is gorgeous, isn’t it. I think that booking an extra day when in Edinburgh is just the perfect excuse to venture out and see some more of the country. 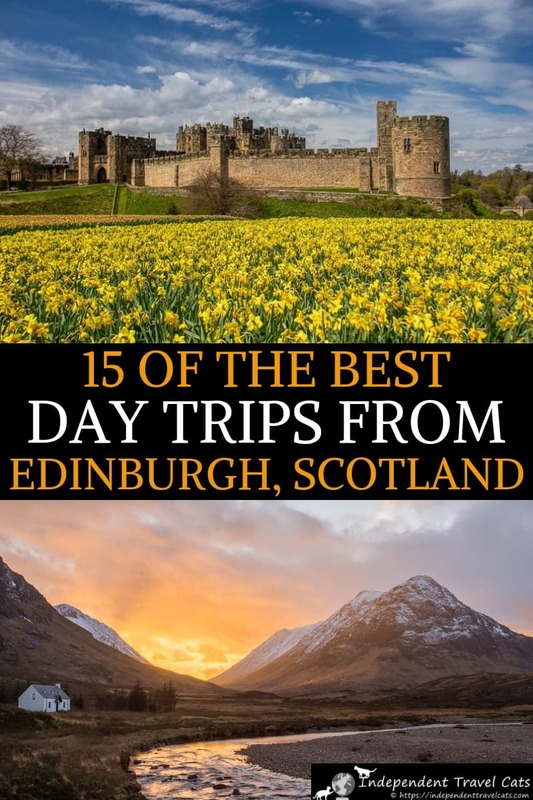 Wow, an amazing list of great day trips from Edinburgh – been to many but certainly not all of these. Will keep these handy for weekend trips with the family! Rosslyn Chapel was amazing, wasn’t it??? I absolutely love birds so I think I would love the Scottish Seabird Centre. It’s funny, this post is making me think of my family. My oldest would love the Harry Potter Filming sights, my youngest would be into the castle, and my husband would probably vote to visit the distilleries. Now that I have a new son-in-law, I am including his preferences as well. He would be all over the Outlander sights. I’ve never seen the show, but I’m glad to know I don’t need to be a fan to enjoy the scene!